In 2005, I had organized a group purchase for European transistors. In this program, BC547, BC639, BD135, BD139 and TBA820M had been listed and about 20 Japanese hams had joined. 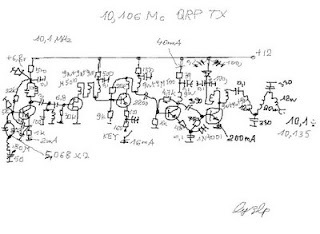 A borderline insane 30m QRSS beacon project. The beacon contains an 8K EEPROM (28C64 chip) of which only 1K is used. It is programmed by hand from front panel switches. 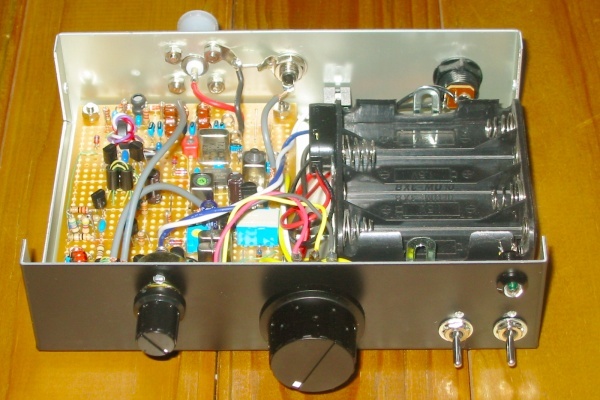 In this project I wanted to learn more about class D amplifiers. In D-class two active components act as switches. One of the switches conduct on each half cycle. In the output either current or voltage is zero during all half cycle, which means that	power dissipated is zero and in ideal case efficiency reaches 100%. 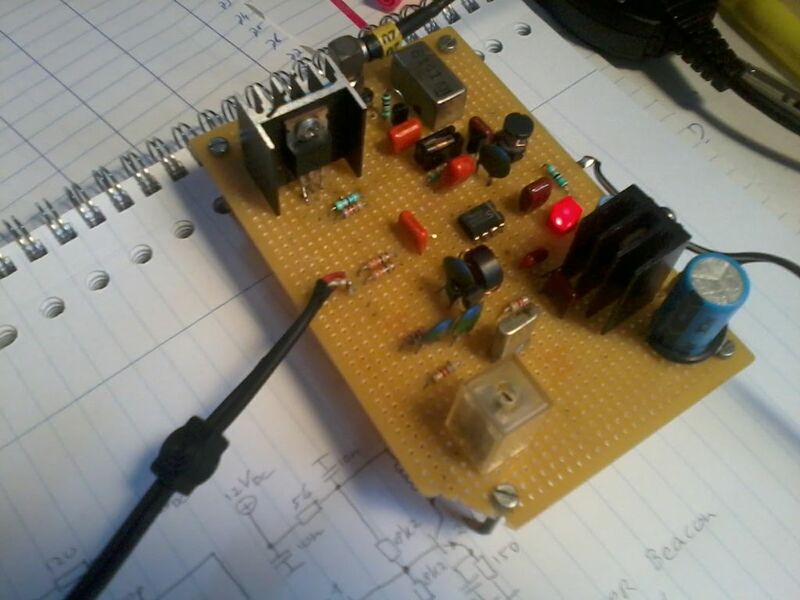 This home made transmitter will be the companion of my low band receiver soon described here. In fact, it is a synthesis of several modules already tested separatly. 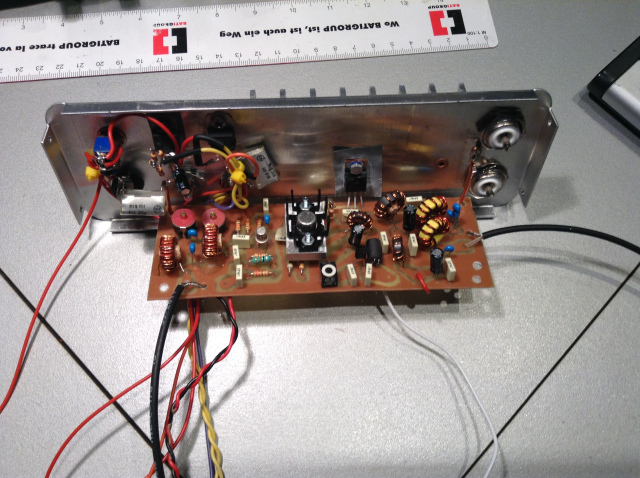 When I decided to become active on the 30-m band, I wanted to build a simple transmiter. 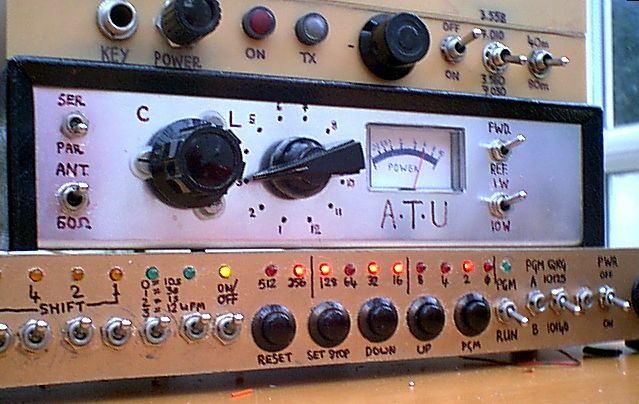 I have a Yeasu FT-101E that receives WWV on 10MHz. Others may have general-coverage receivers, and need only a transmitter. I was looking for a small WSPR beacon for portable use. 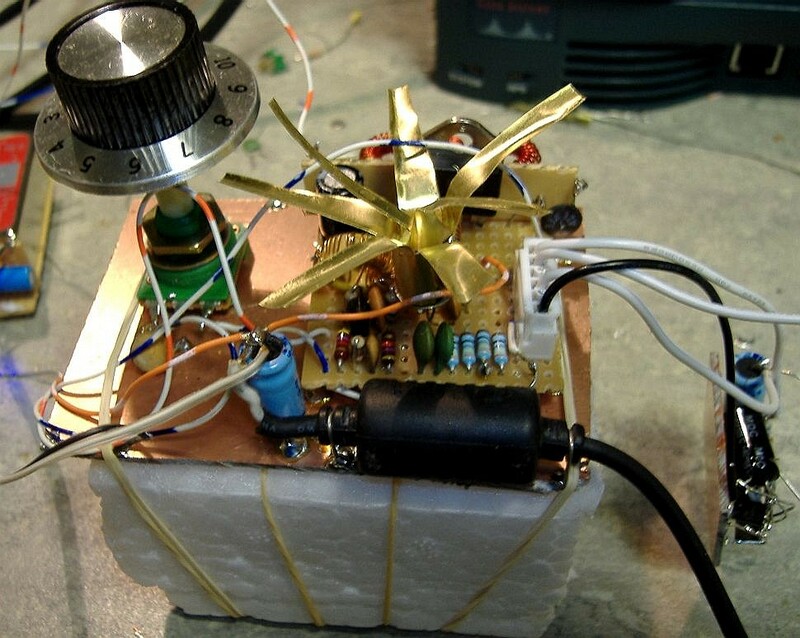 When reading the blog of Roger, G3XBM, I ran into the WISPY TX beacon. I converted his 20m beacon to a 30m version.